A long, long time ago, when Jack Nicklaus was winning tournaments sporting madras pants and a bowl haircut, golf was a spartan trek around the links punctuated by a hot dog and a warmish gulp from a drinking fountain–and a golf getaway was likely to translate to four guys in a room doing 36 holes a day. Today, resort golf is part of a total luxury experience, embracing precision equipment and expert teaching, soothing spa treatments and a slew of amenities like air-conditioned golf carts. But perhaps the most noticeable change from those austere times is in the food. Just as golfers have become more demanding, expecting a round packed with do-or-die shot-making to regale the foursome with, fussy golfers now expect to be dazzled at the dining table. For golfers who would rather putt than eat, luxurious accommodations, spas, swimming pools and other amenities might be enough. But the gourmand golfer wants resorts that offer star-worthy dining, whether it be steakhouse specialties, Asian cuisine or lighter fare. With all the elements that make for a perfect golf getaway, plus some darn good winter weather, the Palm Beaches beckon the fussy golfer, with stellar courses attached to top resorts that offer really fine dining. The Palmer designed by and named for Arnold Palmer is one of the more forgiving courses at the resort. The Fazio (formerly the Haig Course) is a reinvention of the resorts original 18-hole Haig course which opened in 1980 and which was designed by George and Tom Fazio in tribute to five-time PGA champion Walter Hagen. The renovation, which reopened in 2012, was led by third-generation designer Tom Fazio II, who emphasized modernizing the course layout. While the original par-72 routing remains intact, the renovation improves the classic golf architecture. The Squire, designed by George and Tom Fazio, was named after the immortal Gene Sarazen, the first golfer ever to win the professional Grand Slam. It is the shortest and most exacting of the resort courses and has been called “the thinking man’s course” because it is a test of accuracy and precision. The Estates, designed by Karl Litten, one of the shorter courses at PGA, is a mix of challenging and easy holes. After a $100 million dollar revitalization, PGA National Resort & Spa now houses one of South Florida’s most exciting new restaurants, Ironwood Steak & Seafood, which offers a clean and creative menu of contemporary American cuisine with an emphasis on local, sustainable and organic ingredients. A well-orchestrated meal might open with Tuna Tartare or Hamachi Sashimi, move on to a Prime New York Strip from the Meyer Ranch, the only major beef company to be labeled “certified humane”—and finish with the restaurant’s signature Ironwood Mortal Sin, a warm deep-dish brownie with vanilla bean ice cream, candied walnuts, malo cream, caramel, sugared strawberries and fresh whipped cream. The restaurant’s impressive wine list features dozens of options from around the world. The resort’s iBar serves signature cocktails with panache, while the iClub piano bar creates the atmosphere of a classic supper club where fine musicians perform jazz, classics and contemporary favorites. For those days when a burger and a brew is all a golfer wants, Bar 91 is the perfect post-game spot with a full bar, HDTVs and a sprawling view of the greens. A star among resorts is The Breakers hotel, a historic property first known as The Palm Beach Inn when it was opened in 1896 by oil, real estate and railroad tycoon, Henry Flagler. Then, the grounds featured a nine-hole golf course. Today, the resort has two championship courses. 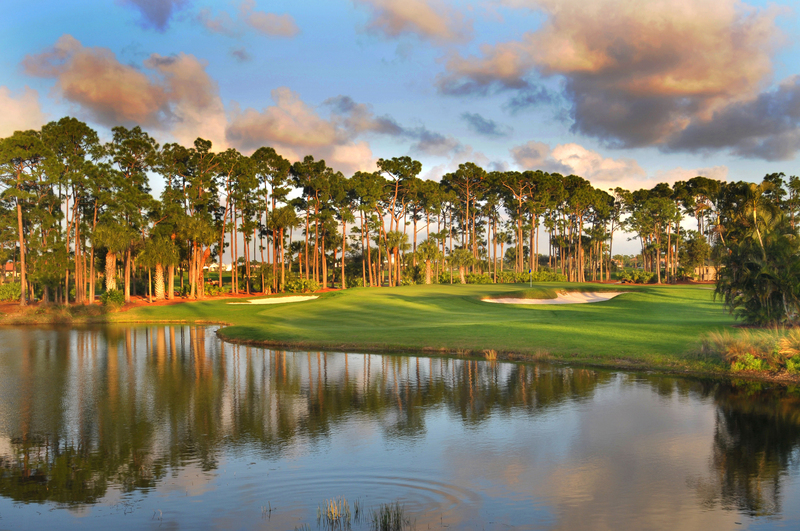 On resort grounds is the par-70 Ocean Course, Florida’s first and oldest 18-hole course, redesigned by famed golf course architect Brian Silva, who managed to also restore the vintage characteristics. Ten miles away is the recently reconstructed Breakers Rees Jones® Course, which reflects the new-classic style of eminent golf course architect Rees Jones. Also at the resort is The John Webster Golf Academy, which offers instruction, school and clinics. 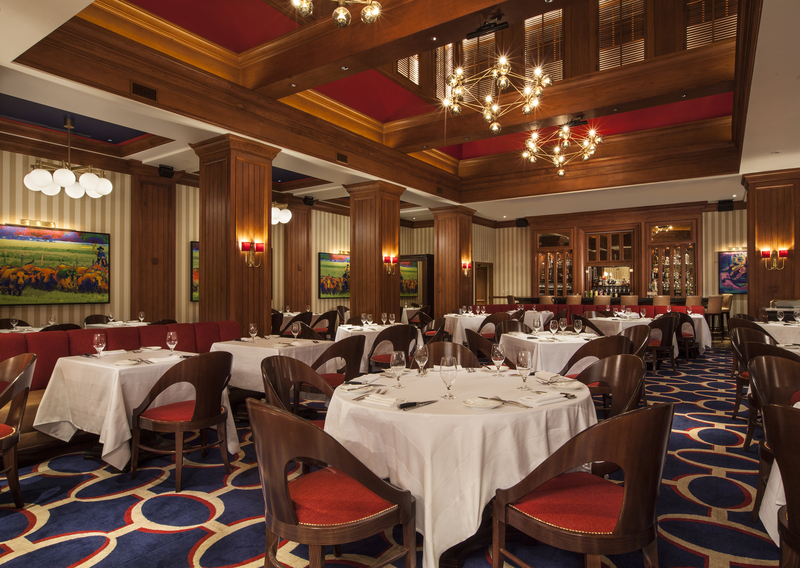 Dining at The Breakers is an exercise in abundance, with several fine dining options, beginning with the recently transformed Flagler Steakhouse, which has been re-imagined and re-designed by Adam D. Tihany in red, white and blue luxury. Matching the décor is the well-dressed staff, delivering impeccable service. Situated on the second floor of the Ocean Clubhouse, the stars of the expanded menu are flawlessly prepared steaks, sourced only from a selection of USDA prime. Alternatives include top quality fish and broiler items, Italian specialties and savory sides—all complemented by cocktails and a Master Sommelier-curated wine list. All this and music, too. A few of the alternate dining options are the Seafood Bar, which features 10 to 15 types of fish that arrive daily from the waters of South Florida to Hawaii; Echo, where the tastes of China, Thailand, Japan and Vietnam are served against a stylish Asian setting and Asian-influenced art; HMF, a glamorous retreat named for Henry Morrison Flagler and also designed by Adam Tihany, known for precision-crafted cocktails and modern, globally influenced small-plate delicacies. Enjoy award-winning golf on the course voted Conde Nast Traveler’s Top 121 Golf Resorts. The Boca Raton Resort & Club, a Waldorf Astoria property, has two championship courses and a rich golf tradition dating back to a time when PGA professionals Sam Snead and Tommy Armour held staff positions. Today, The Resort Course, a stunning par-71, is dedicated to Snead and Armour. The course includes a signature water feature designed by Hugh Hughes. The longer and more expansive par-72 open parkland Country Club Course is situated about six miles from the resort. Designed by Joe Lee, the course hosts the Dave Pelz Scoring Game School. Instruction is also offered at The Kellie Stenzel Golf Academy. PGA Master Professional and LPGA Member, Kellie Stenzel is rated as a Top-50 Teacher by Golf for Women and a Top-100 Teacher in the nation by Golf Magazine. Now to the dining. For golfers who’d enjoy meals at the beach, there are four restaurants at the nearby Boca Beach Club. The stars, however, are at the resort. Serving internationally acclaimed Japanese cuisine is Morimoto, a world-famous sushi restaurant which features Iron Chef Masaharu Morimoto’s signature sushi bar, a raw bar and the chef’s Omakase tasting menu. For the flavors of Tuscany, there is Lucca, which overlooks the Intracoastal Waterway and offers inventive cuisine in a Mediterranean-style room with an open kitchen hand-blown Murano chandeliers. The Blue is a fine-dining restaurant serving New American food and drink in a modern setting, while Serendipity, inspired by the New York icon, Serendipity 3, is just for fun, decorated with bright, candy-like colors, Art Nouveau fabric walls and Tiffany-style lamps. The playful décor is a perfect setting for the signature Frrrozen hot chocolate. There is more: the Shaka Bar & Grill for burgers and tacos; 501 East Kitchen and Bar, for American cuisine; the Palm Court for breakfast and cocktails; Bar Luna for cocktails and Mizner’s Monkey Bar for martinis, craft beers and cigars.